The perfect home for a young family, single individual or couple looking to down size. A overwhelmingly spacious foyer welcomes you into this home with ample closet space. Engineered hardwood flooring flows through the main floor complemented by 9’ ceilings allowing for ample light . The kitchen features granite counters, stainless steel appliances, eating bar, centered island, very large pantry. The dining room provides access to the back deck( perfect for summer entertaining) The master retreat offers a large walk in closet and spacious 4pc en suite. Two additional bedrooms, a large 4pc bath with built in linen closet and laundry complete the upper level. 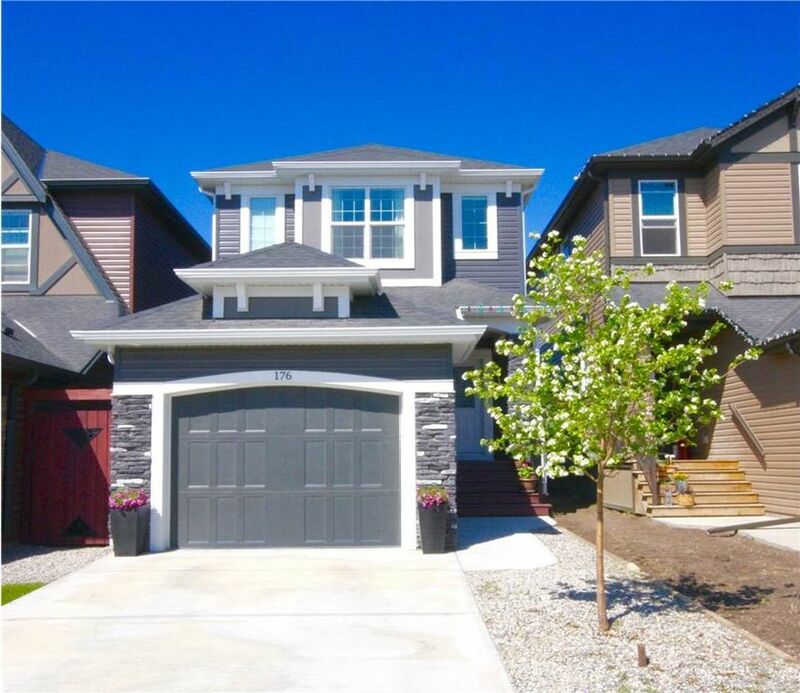 Entertaining is made easy with a gorgeous and sunny west facing yard fully landscaped w/ large patio, deck, & parking pad available for those who would like to put a detached garage or trailer parking off the back lane. Conveniently located close to walking paths, wet lands, & just a short drive to many new amenities.